Cloud services such as Amazon EC2 can quickly deliver additional computing power on demand. Amazon’s recent introduction of the a type of EC2 Compute Units made this proposition much more attractive than ever before. With Elcomsoft Distributed Password Recovery now supporting Amazon’s new P2 instances, each with up to 16 GPU units, users can get as much speed as they need the moment they need. In this article, we’ll discuss the benefits of using cloud compute units for password recovery, and provide a step-by-step guide on how to add virtual instances to Elcomsoft Distributed Password Recovery. Why move to the cloud instead of building a data center in-house? While each individual EC2 Compute Unit packs significantly less power compared to even a modest PC equipped with a single NVIDIA 1080 board, you don’t have to buy and maintain those units ahead of time. The power of cloud computing is available on demand right when you need it. With Amazon EC2, you are only paying for instances while you need them – and let them go when you don’t. Compared to Amazon’s older G2 units, the P2 is significantly faster due to the use of a newer generation of NVIDIA GPU chips. Support for Amazon’s new compute units allows users of Elcomsoft Distributed Password Recovery to dynamically scale their existing data centers without making new capital investment. You can add extra processing power right when you need it, and scale back to your existing infrastructure immediately once job is complete. On-demand use of cloud instances with Elcomsoft Distributed Password Recovery delivers not only unmatched recovery speeds, but also best-in-class price-performance ratio. The new P2 Compute Units come with up to 16 GPUs each. The new P2 instances are powered by NVIDIA Tesla K80 GPU units, allowing Elcomsoft Distributed Password Recovery to run with full GPU acceleration to deliver record-breaking performance when integrating multiple units. 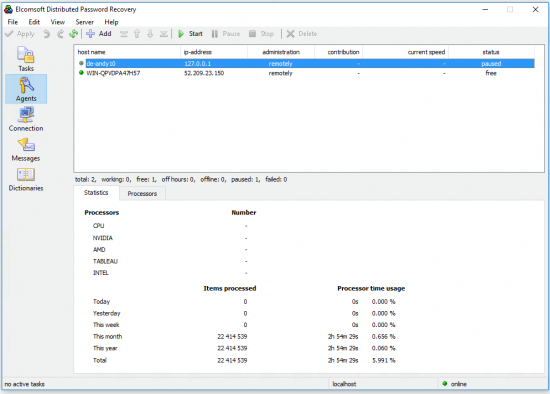 To set up a P2 instance in Elcomsoft Distributed Password Recovery, perform the following steps. 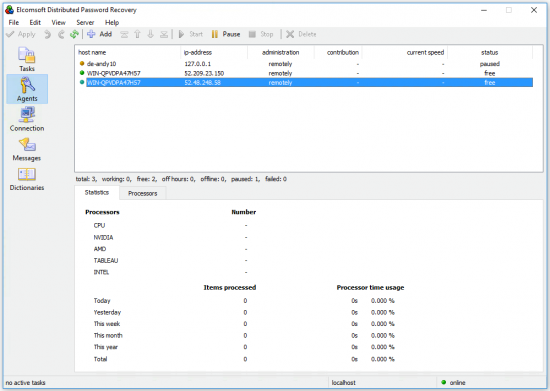 Install and launch EDPR server. 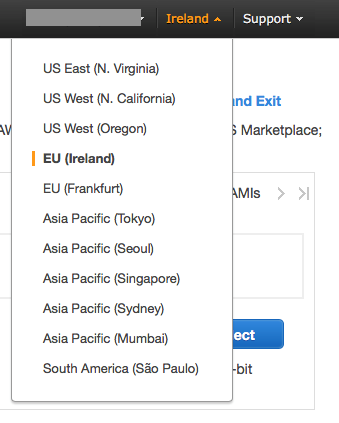 You can do it either on your local server or in EC2 cloud. The server must have an external IP address with port 12121 opened and available. 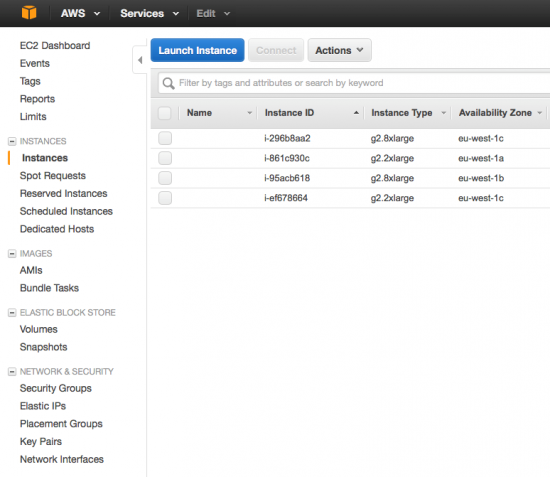 Log in to your EC2 Management Console and click “Instances”. Choose the virtual machine “AMI” from “Community AMIs”. Select “Community AMIs” and search for the Elcomsoft AMI. Type the exact AMI name in the search box. If using p2.xlarge and p2.8xlarge instances: select “EDPR-agent-1059-8” AMI. If using p2.16xlarge instance: select “EDPR-agent-1059-16” AMI. Choose Instance type from P2 series. Click “Next: Configure instance details”. Specify the number of instances you require. Expand “Advanced details” and enter your server address and port number in the “User data” field. Click “Review and launch”. Review instance details and click “Launch”. Select your key pair or create a new one. Please note that p2.16xlarge agents will take a while to launch because of the large number of CPU and GPU cores. 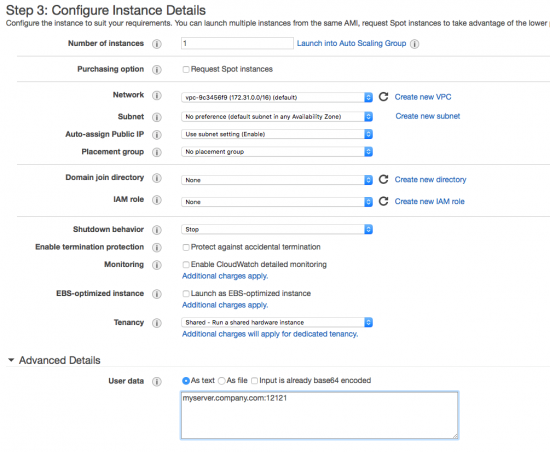 Please note that Amazon EC2 instances are charged on hourly basis. To prevent unnecessary charges, make sure to stop instances when you no longer need them. This entry was posted on Tuesday, August 1st, 2017 at 9:31 am	and is filed under Elcom-News, Hardware, Software. You can follow any responses to this entry through the RSS 2.0 feed. Both comments and pings are currently closed. Use this often. Works great. They also have instances in Oregon that work great if you want a US-based datacenter.